So… a popcorn corn popper on a coffee website, eh? What kind of a connection does this lovely popcorn popper have with coffee you might wonder? Fair enough – it does seem a little bit out of place, I will admit, but hear me out. 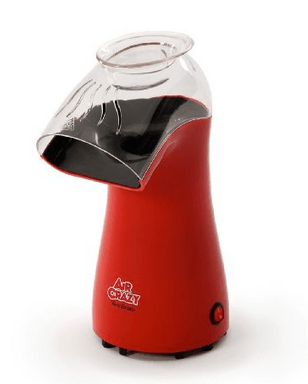 I accidentally found out that the West Bend Air Crazy 3.5 Quart Corn Popper can be used, besides for corn popping, also for roasting coffee beans. The fact that West Bend Corn Popper uses only hot air and no oil makes it perfect for the both corn-popping good times and coffee roasting, which took me by complete surprise. I have to admit, I seldom prepare popcorn at home (get it at the movies once in a while), but once I saw my friend using this corn popper to roast coffee in it, I immediately had my eye on it and decided to get it for myself. Yes, home roasting is probably a step ahead and something that I usually don’t do because a) they can be pricy and b) I can always buy roasted coffee beans, but I simply couldn’t resist this inexpensive option to test myself whether I can do it at home. And guess what? I totally did it! Here’s a video with some information about popcorn popper coffee roasting that I learned a lot from starting out. So, for less than 25 dollars, I provided my kitchen with a brand new, red corn popper and while my family was staring at me puzzled, like, what the heck woman, why am I here? 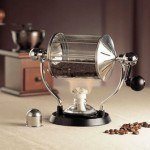 But after a few trial runs, all my coffee loving friends and family started to say that the coffee smelled amazingly aromatic and that it tasted even better, because now I was in charge of the whole process – roasting, grinding, brewing, serving. My inner control freak jumped for joy! 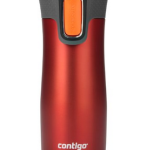 Here is the thing – the hot air vents are located on the side where the coffee is roasted, which makes it spin around. 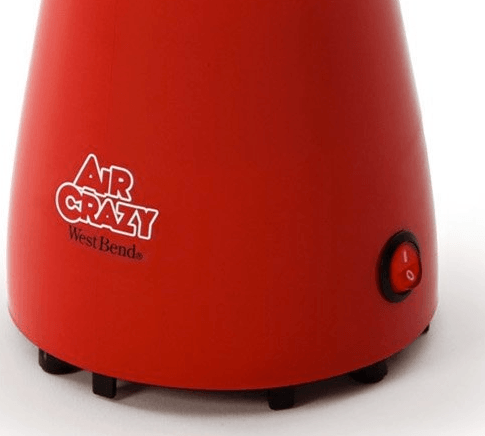 The West Bend 82416 Air Crazy 3.5 Quart Corn Popper is 1040 watts, which is more than enough to pop the corn and apparently enough to roast the coffee beans. Although I would say its a close call – you might have to fiddle with it a bit to make it hot enough. One tip for this is to make sure you don’t use any extension cords and plug right into your wall socket. 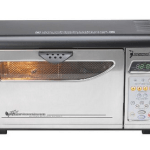 This gives you a bit more power and heat to do your roasting, and its something that apparently a lot of people who have said this popcorn popper wasn’t hot enough had missed. In case you use this only for corn popping, they will of course pop outside of the angled chute that directs the popped corn into a bowl. 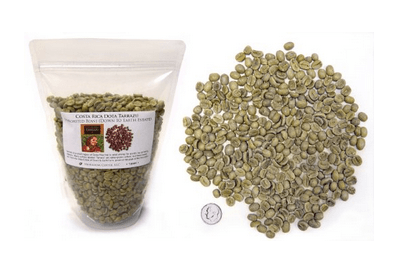 With coffee beans, you of course won’t get any popping, but you will get the coffee equivalent – cracking. 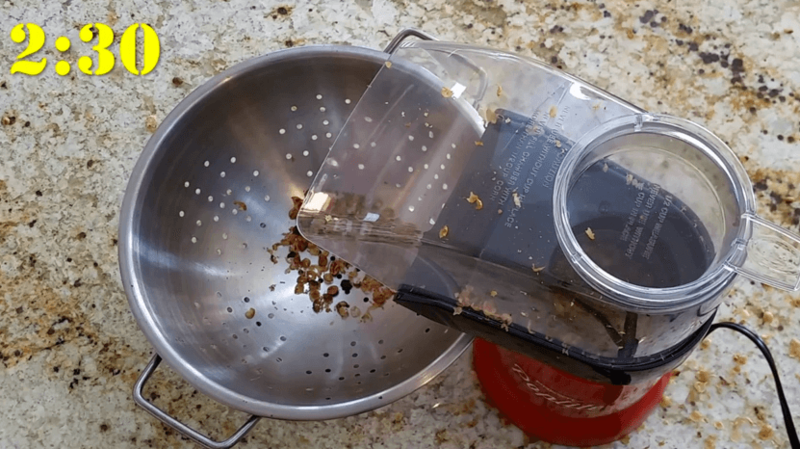 This corn popper is powerful enough to achieve a nice dark roast which you can easily grind afterwards. There is just one catch though. Because there’s less heat compared to a normal roaster, you can always try increasing the number of green coffee beans, which will increase the heat a little. I use a maximum of 4 ounces of green coffee beans for this. 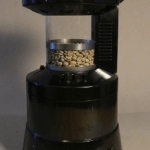 I tested the West Bend 82416 Air Crazy 3.5 Quart Corn Popper with about half a cup of green coffee beans. 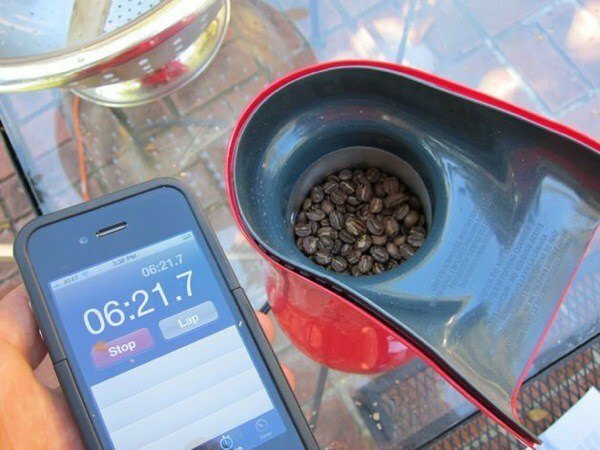 The hot air roasted the coffee beans in about 7 minutes, but it really depends. Things will start to happen sometime around the 2 minute mark – at least it does for me. Please be careful not to burn yourself, because the plastic sides get very hot; oven mitts are a must to dump the roasted coffee in a cooling bowl, a pan or plate. Maybe for some of you this may be a little too slow way to roast small amounts of coffee beans, but I actually am content, because I don’t plan to roast big amounts but the usual – half a cup or so, that is more than enough for a fast grinding afterwards for a cup or two. 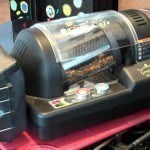 The West Bend is really an inexpensive machine that will both serve you for corn popping and for coffee roasting. 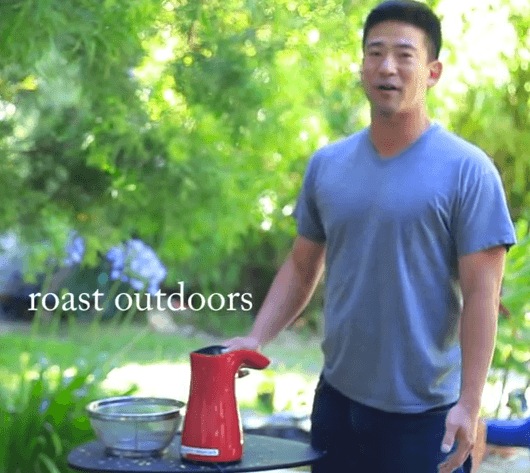 One other tip is that if you are having issues with the chaff flying around everywhere, then one idea is to do your roasting outdoors, where the chaff can just be swept away. This is a good idea if its nice out, or if maybe you have a nice garage. It might beat having to deal with the resultant mess that has bothered some users. A couple more things – there is an indicator On-Off button on the right side of the West Bend. The lid has a curved opening on the front as well on the top – here we put either corn or coffee beans. Anyway, it’s a good, inexpensive way to roast coffee beans at home. I recommend it. Besides, if you don’t like it for roasting coffee, you can always prepare pop corn for your movie nights. – 4 STARS!